The Heritage Centre will close from 1pm on Friday 22nd December. The ATA gallery will not be open on that final day. We reopen on Saturday 6th January 2018. Spitfire Simulator vouchers make a splendid present, and we have an interesting collection of books for sale on local heritage and the Air Transport Auxiliary. Please visit our Shop. 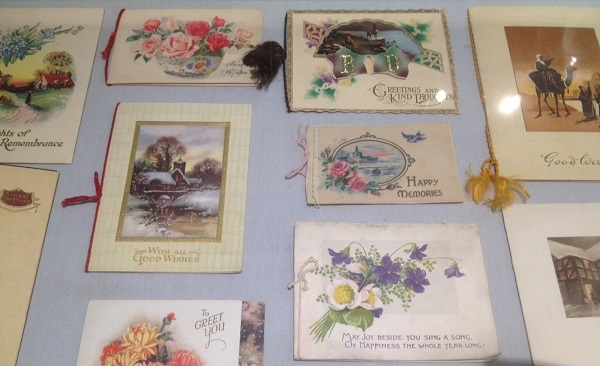 As Christmas draws near we have a charming display of historical Christmas cards, some dating from World War 1. These include some embroidered cards which are definitely worth admiring.